What’s The Penalty For Perjury? Most people have a basic understanding of perjury. They know that it involves lying under oath, and most people picture this happening on the witness stand in a courtroom. However, perjury can occur any time an individual has taken an oath to answer honestly to the best of their ability. Furthermore, Texas criminal law makes it clear that a person can be convicted of perjury if they knowingly make a false written statement even when not under oath. Whether it occurs at the state or federal level, perjury is a serious crime with potentially severe consequences, including jail time. Why Does the Law Take Perjury So Seriously? Although forensic investigatory techniques, such as those based on DNA evidence, have come a long way in recent years, many criminal prosecutions still turn on witness testimony. This involves people swearing to prosecutors, judges, and jurors that what they say under oath is true. When a criminal defendant’s future and freedom are on the line, the justice system wants to make sure that witnesses are honest — and that they have a powerful deterrent to making false or misleading statements. Unfortunately, eyewitness testimony is not always credible. According to the Innocence Project, 73 percent of 239 criminal convictions were overturned because an eyewitness gave inaccurate or misleading testimony in a prosecution. In some cases, these witnesses simply didn’t remember events correctly. On others, however, witnesses lied. Perjury is taken seriously at every level of the criminal justice system, and no one is immune from prosecution for lying under oath. History buffs may remember that President Bill Clinton was impeached in 1998 for lying under oath to a federal grand jury about the nature of his relationship with a White House intern. Although many have argued that the impeachment was a political move, the case is a powerful reminder of how perjury can have tough penalties. In 2004, lifestyle icon Martha Stewart served time in prison for lying to government officials about the sale of stock in a biotech company. Under federal law, perjury can take the form of verbal testimony or a written statement. With some exceptions, an individual convicted of perjury at the federal level can face up to five years in prison. Under Texas state law, perjury includes both verbal testimony and written statements, as well as swearing under oath that a previous statement — even one not made under oath — is truthful. 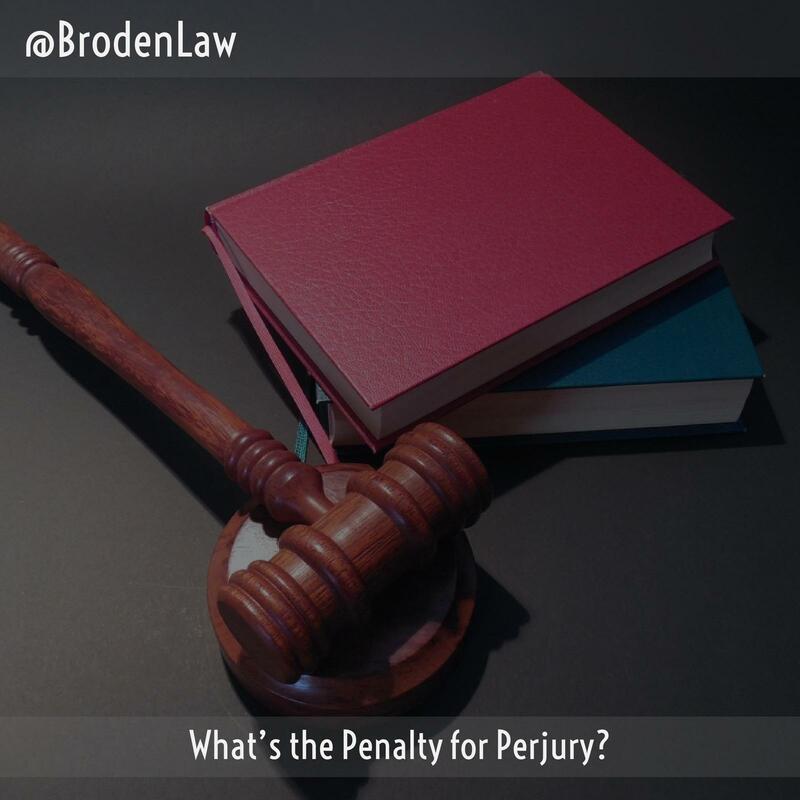 The law imposes penalties for both perjury and “aggravated” perjury. Individuals convicted of perjury can be convicted of a misdemeanor, fined, and/or sentenced to up to one year in jail. Those convicted of aggravated perjury face a third degree felony conviction, which can carry fines up to $10,000 and a maximum 10-year prison sentence. If you’re facing any type of criminal prosecution in Texas courts or federal court, it’s important to contact a Texas criminal defense lawyer about your case.